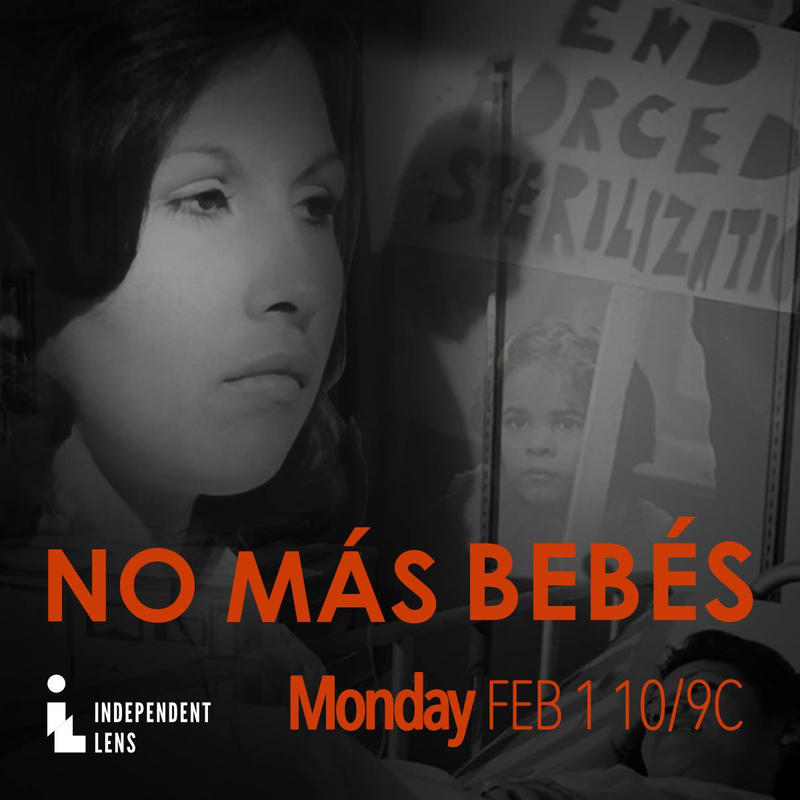 “No Más Bebés” (No More Babies), a documentary directed by Renee Tajima-Peña and produced by Virginia Espino, will air on PBS stations on Monday, Feb. 1, at 10 p.m. (9 p.m. Central) as part of the “Independent Lens” series. Check local listings to confirm time. “No Más Bebés” tells the story of a little-known but landmark event in reproductive justice, when a small group of Mexican immigrant women sued county doctors, the state, and the U.S. government after they were sterilized while giving birth at Los Angeles County-USC Medical Center during the late 1960s and early 1970s. 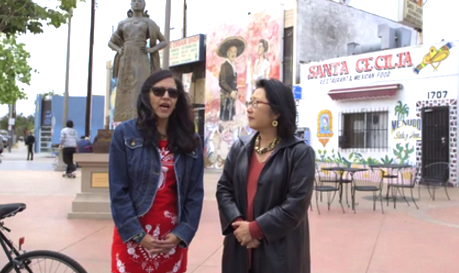 Director Renee Tajima-Peña and producer Virgina Espino. The filmmakers spent five years tracking down sterilized mothers and witnesses. Most were reluctant at first to come forward, but ultimately agreed to tell their story. Set against a debate over the impact of Latino immigration and overpopulation, and the birth of a movement for Chicana rights and reproductive choice, “No Más Bebés” revisits a powerful story that still resonates today. Tajima-Peña is an Academy Award-nominated filmmaker whose directing credits include “Calavera Highway” (PBS), “The Mexico Story” of “The New Americans series” (PBS), “My Journey Home” (PBS), “Labor Women” (PBS), “Skate Manzanar” (performance and installation), “My America…or Honk If You Love Buddha” (PBS), “The Last Beat Movie” (Sundance Channel), “The Best Hotel on Skid Row” (HBO), and “Who Killed Vincent Chin?” (PBS), which was nominated for an Academy Award for Best Documentary. Her films have premiered at Sundance, Cannes, San Francisco, New Directors/New Films, Toronto, the Whitney Biennial and festivals around the world. Among her honors are a USA Broad Fellowship, a Peabody Award, a DuPont-Columbia Award, an Alpert Award in the Arts, an IDA Achievement Award, and a Guggenheim Fellowship. Espino conducted original research on the Madrigal case that formed the basis for “No Más Bebés.” Her work was published in “Las Obreras: Chicana Politics of Work and Family,” edited by Vicki L. Ruiz, and “Latinas in the United States: A Historical Encyclopedia.” She is the program coordinator for Latina/o history at the UCLA Center for Oral History Research, where she has interviewed the leading figures in contemporary Mexican American history. Espino received her Ph.D. in history from Arizona State University. PBS SoCal-HDTV (KOCE) — Feb. 1 at 10 p.m., Feb. 2 at 4 a.m.
PBS SoCal-SD — Feb. 1 at 10 p.m., Feb. 2 at 4 a.m.
PBS SoCal World — Feb. 3 at 5 p.m., 10 p.m.; Feb. 4 at 6 a.m., 12 p.m.; Feb. 6 at 9 a.m.
KPBS (San Diego) — Feb. 1 at 11:30 p.m.
KPBS HDTV — Feb. 1 at 11:30 p.m.